Most janitors are satisfied with keeping things clean. This junior high school custodian might be, too, but also has a hankering to do something else: Draw incredible pictures. 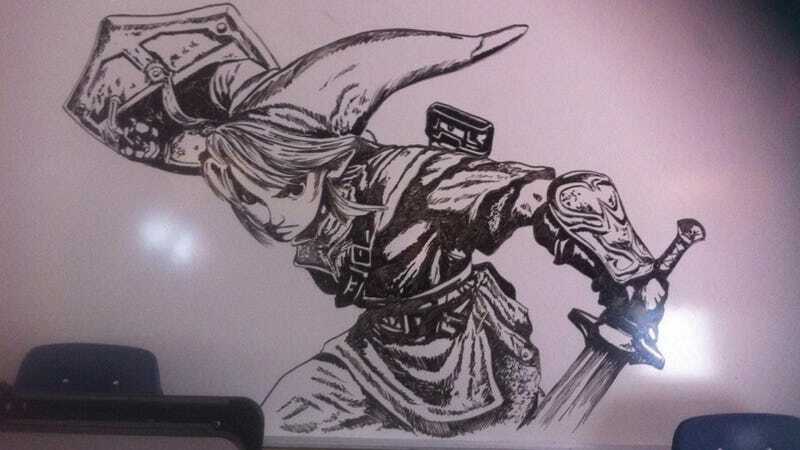 Spotted on a school cafeteria whiteboard, these awesome drawings depict things like Link from The Legend of Zelda. Here's Midna and Wolf Link from Twilight Princess. These aren't just eye candy! There's also a friendly reminder about recycling one's trash. Bravo, Janitor Artist. Bravo. You've impressed more than the lunchroom. You've impressed the whole damn internet.